The best laundry detergent for your massage table sheets and for your family will be a laundry soap that cleans deeply, rinses thoroughly, and does not leave any residue on the fabric. It should also be cost effective and smell fresh and clean. Massage therapists often struggle with what type of laundry soap to purchase to keep their sheets looking, smelling, and feeling clean. It is one of those critical items for therapists, because often the detergent is also used for their family as well as the business. There are many laundry soap products for massage therapists to use on their massage table sheets, however many are very expensive and do not break down the oil very well in the sheets. Seventh Generation may not be one of those detergent that you have heard of from massage supply sources, however it is quickly growing in popularity due to it's ability to truly clean and deodorize sheets. It is a detergent that was originally created for use in textile quality control labs. Formulated to clean different types of fabric, it is well-known for the ability to clean each fiber. Seventh Generation is one of the best laundry detergents for any business, but it provides a new and innovative way to clean your family's laundry as well. 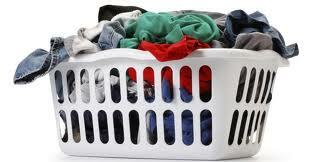 Truly clean clothes helps your family (and your clients) feel, see, and smell good. This detergent is hypoallergenic, fragrance free, and safe for sensitive skin. It is safe for all fabrics, even wool, silk, cotton and linen. It is concentrated, so you only use one ounce per load. You do not even need to use fabric softener. Some people who have reviewed this detergent say that one gallon can last up to six months! Can you imagine only buying laundry detergent every six months, or only once every year? And this price is great! It removes trapped odors and stains, great for massage table sheets, kids who play sports, or those who work with products that stain or produce odor on clothing. This detergent also makes a pre-laundry spray, an outdoor surface cleaner, laundry powder, laundry booster, and kitchen and bath soap. With the high cost of laundry soaps nowadays, why wouldn't you choose the best laundry detergent for deep cleaning, but also one that was affordable, biodegradable, and totally "green"!